I wore this look over the weekend to dinner. I absolutely love this top. "Florals for Spring... Groundbreaking". Whenever I wear something Floral for Spring I always think of that line from The Devil Wears Prada. It is so true! I mean Florals are always so popular this time of year. But I couldn't resist this top. I have worn these jeans two days in a row. I can not get over how well they fit and that they are such a good quality for only $48. They run pretty true to size. I highly recommend them! Also my wedges are comfortable and they come in three colors. Happy Valentines Day. I hope you all have a great day and get to do something special with the ones that you love! Thank you so much for stopping by. You are looking gorgeous woman!! 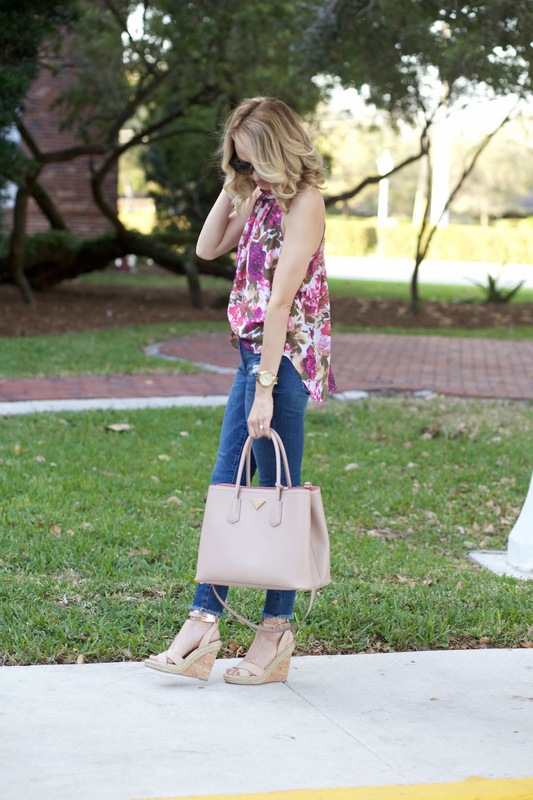 Great floral top! 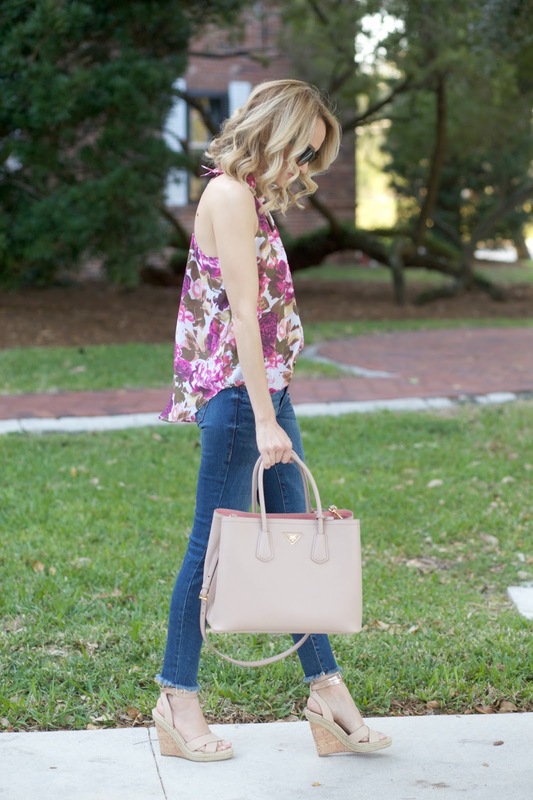 What a pretty floral top! 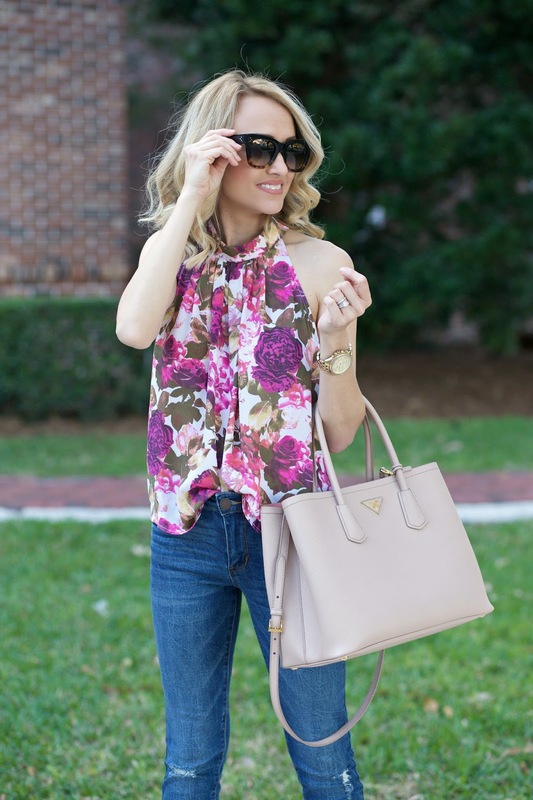 I love that top, and this whole outfit! Hi! Just wondering what size did you get your bag in? Is that the medium or small? is it bad that I ordered 2 of these tops? LOL!